Dr. Ummat received his medical degree from Dalhousie Medical School, in Halifax, Nova Scotia (Canada), where he also completed his ENT residency. He completed additional coursework at Bowman-Gray, Duke and Harvard Medical School in Boston. He is married and has three children. He enjoys skiing, tennis and sailing. His passionate hobby is inventing, and he has several inventions currently being patented. Dr. Ummat has extensive experience in evaluating and treating ENT disorders, with more than 15 years of comprehensive ENT practice. He performs microsurgical techniques from hearing restoration, and has performed over 6,000 advanced endoscopic surgeries for nasal and sinus disorders. He helped pioneer SomnoFix™ for the accurate evaluation and treatment of snoring and sleep apnea. Dr. Ummat also performs small incision surgery for parotid, thyroid and neck tumors. He is board-certified by the American Board of Otolaryngology Head and Neck Surgery and by the Royal College of Physicians and Surgeons of Canada. He is a fellow of the American Academy of Otolaryngology Head and Neck Surgery and the American College of Physicians Executives. 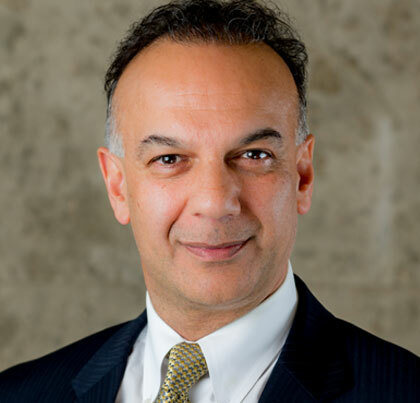 He has extensive experience in the Medical Administration and is currently the Section Head of Otolaryngology at Northwest Hospital, as well as Chairman of the Continuing Medical Education Committee.